Completed: 4x Dominix (1 resist / 3 dual LRAR II ). This was definitely overkill levels of tank. 1 resist / 1 tri-LRAR II would have been fine. Killing the second of 4 dominators caused the extra BS spawn of 2 martyrs. 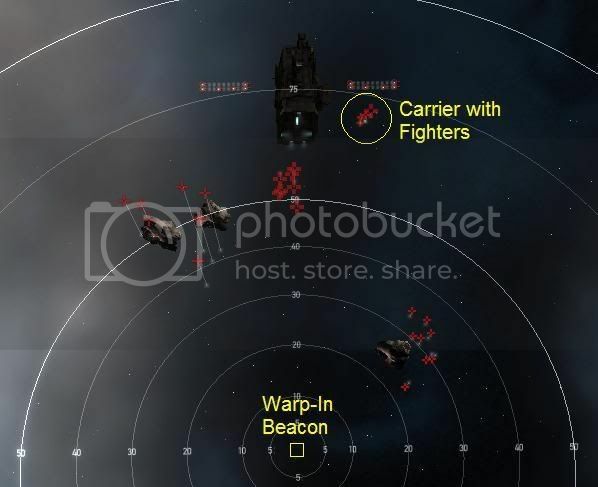 As an alternative to light drones against fighters, sit 0 km from carrier and RR your drones. Carrier dropped an imperial navy fleet rear-admiral insignia.